When it comes to Instagram followers, quality is better than quantity. You can remove unwanted followers — such as ghost followers — from Instagram without blocking them first. The common theme among all types of ghost followers is that they offer you no real value other than an boost to your follower count. It's a good idea to remove followers like these so that your follower count reflects your engagement level as honestly and authentically as possible. There's no official way to remove followers from Instagram.com in a web browser. To easily remove followers, you must be able to access your Instagram account from the iOS or Android app. Open the Instagram app on your iOS or Android device and sign into your account if necessary (or switch to the account that you want to remove followers from). Navigate to your profile by tapping the person icon on the far right in the bottom menu. Tap the number of followers that appear at the top of your profile to see a list of your followers. use the search field at the top of your followers to start typing their name or username and use the automatic results to locate their account. You must do this step from your followers list. You won't find a follower removal option by navigating to a follower's profile from anywhere else except your followers list. Tap the three horizontal dots on the iOS app or the three vertical dots on the Android app that appear to the right of the follower listing. Tap Remove from the popup menu to remove them as a follower. Repeat steps four through six to remove another follower. Users aren't notified when you remove them as a follower and it's up to them to notice on their own they're no longer following you. If they do notice, bear in mind that they're free to find your account and follow you again. 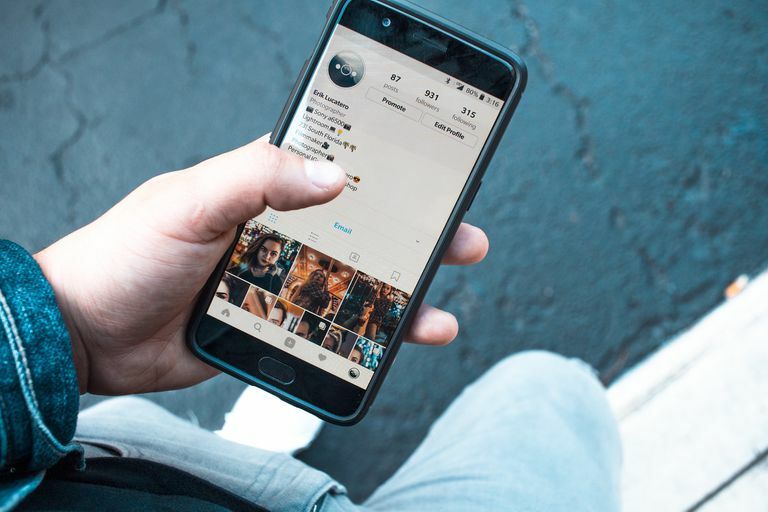 Once upon a time, there were lots of free third-party apps that could connect to your Instagram account to help you manage your followers. One of the helpful things that they did was allow you to remove followers in bulk. Many such apps still exist, but today, the ones that claim to do so are in violation of Instagram's API Platform Policy. Worse, apps like these could be outdated or total scams and could result in your account being compromised. It might be time consuming, but the security of your account depends on your willingness to manually remove followers on an individual basis. If you have lots of followers and therefore can't keep track of which followers engage with you and which fit the role of ghost follower, you can use a service like Iconosquare (with a 14-day free trial) to see in-depth analytics of your follower engagement. Instagram.com doesn't have as many features as the app and the follower removal options is one of them, but there's a simple workaround if you absolutely have to do it from a web browser. Just navigate to a follower's profile while signed into your account on Instagram.com, select the three horizontal dots beside the blue Follow back button and then select Block this user from the popup menu. Then select the three dots again and select Unblock this user. Blocking them automatically removes them as a follower, but when you unblock them, they will remain a non-follower. Just like removing followers, followers (or any user for that matter) aren't notified when you block them. This of course is a more time consuming process than using the official follower removal option in the app because of all the extra steps involved. Not only do you have to navigate to each follower's individual profile, but you also have to carry out two more steps after that—blocking them and then immediately unblocking them. When your Instagram account is set to public, anyone can follow you, putting you at a higher risk to be followed by more accounts that are simply looking to get a follow back and are ultimately bound to ignore your content. If you want to make screening new followers easier, consider making your Instagram private. This way, users will have to send you a follow request that you'll have to approve first before they can follow you. If a user who sends you a follow request is a total stranger, has very promotional content or appears to be following a large number of users relative to their follower count, then they'll probably end up a ghost follower and you're better off declining their follow request.